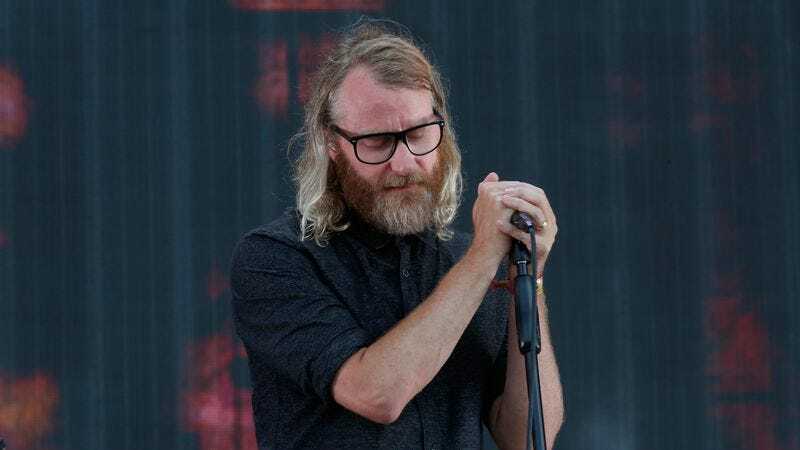 Frontman Matt Berninger was an outspoken supporter of Hillary Clinton during the recent election, telling reporters he was “a little bit in love” with the candidate. The band played one of Clinton’s final rallies during the campaign. Berninger also—via one of his other bands, El Vy—penned an anti-Trump song during the election, as part of Dave Eggers’ 30 Days, 30 Songs project. You can find The National’s online store, featuring T-shirts, tote bags, and most of the band’s musical catalog, including the Grateful Dead tribute album Day Of The Dead, and 2013’s critically lauded Trouble Will Find Me, right here.